My first cardi using the Contiguous method is finished, and I love some things about it, while I need to revise a few others. 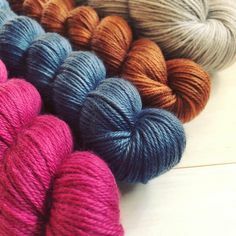 I love: 1) the single, gently-ruffled cuff and front edge – just swishy enough; 2) the length – longish but not dragging, and because it’s open front, the fronts dip and drape nicely; 3) the yarn – Rowan RYC Cashsoft 4-ply – with merino/microfiber and cashmere, knit at a loose gauge; and 4) the way Contiguous lets you make a more refined dressmaker look, with the sleeve fit and easy construction of a raglan. But there’s the thing; my fit in the upper body area needs some tweaking, since this sweater method grows a little bit differently than a raglan or a set-in sleeve. The shoulder is quite sloped due to the rapid increases, and the back neck is high. A very square-shouldered person might find a problem with that slope, but I think that making a point to knit the shoulder increases loosely, and block diligently, resulted in a good fit for me. The back neck issue is one I’m now implementing short rows to minimize; however, this style definitely doesn’t lend itself to a low back neckline. Funnelneck, turtleneck, higher collar – those are good. I also found that with Contiguous, it’s easy to make the sleeve cap too full; a great thing for puff sleeves, but not quite what I was going for. My front cross chest is also too generous, and because the front grows outward to the sleeve, it’s possible to end up with fullness around the sleeve/body intersection, when one would typically like that more toward the center. To me, that means being hyper aware not to oversize the sleeve and upper body. I also did run out of yarn, although just barely; I needed to borrow something close from stash to finish the last 1/3 of the bind off. Barely noticeable, I think. Especially since the BO turns to the inside, and this is near the bottom edge. Anyway, I need to remath the top and knit another one, maybe in slightly heavier weight yarn, but at the same gauge. All in all, my takeaway is that the Contiguous method is another great alternative for seamless sweater construction. 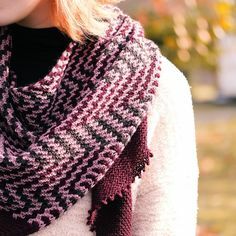 You can check out SusieM’s Contiguous Method on Ravelry. I already have another worsted weight Contiguous cardi WIP, and plans for a pullover. I selected this post to be featured on my blog page at Knitting Blogs. Your cardigan is absolutely lovely. It looks terrific on you and the yarn was a perfect choice.